Checked out a great new place recently that in an area I don’t recently — Napa General Store. The first two orders of business from the menu were coffee and mimosas, since I had just come from the other side of the country. The menu had several great choices and mine came down to the salmon vs. huevos rancheros. I chose the latter. 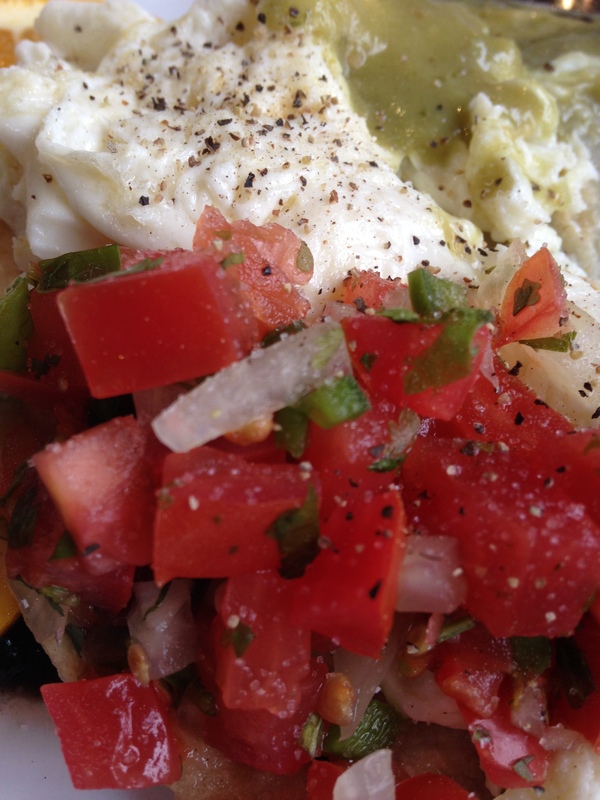 Farm-fresh eggs sunny-side up with house-made corn tortillas, salsa verde, pico de gallo, black beans & pepperjack cheese (mixed that). Delicious. So fresh and amazing. My friends did everything from waffles to omelettes to eggs benedict. There was almost silence at the table when the food arrived. So good, pure happiness. 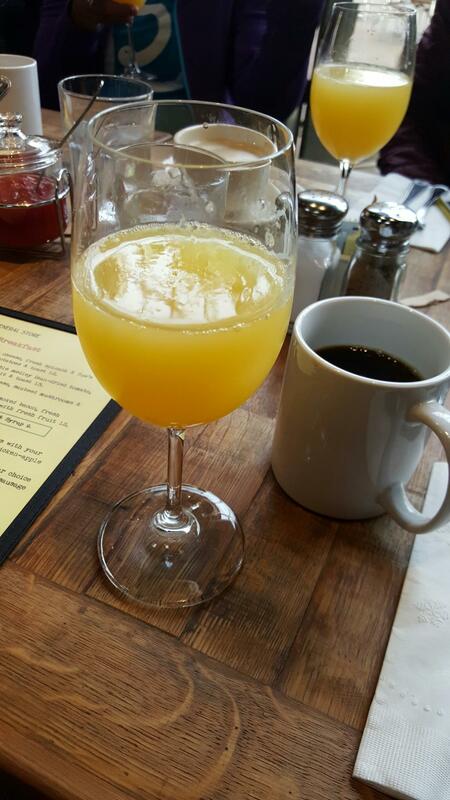 This entry was posted in breakast, brunch, mimosa, napa general store, napa valley and tagged brunch. Bookmark the permalink.